Last month, the foundation published the first evaluation of the part of campaign focused on using doctors as instructors. The evaluation of the campaign was based on interviews with 370 parent participants, like Wright, who heard the message from their doctors about the importance of talking, reading and singing with their children. Each parent was interviewed three times – before their doctor’s appointment, immediately after the appointment and eight to 12 weeks after the appointment. Parents were also given a tote bag containing a book, a CD of kids’ songs, a t-shirt and a blanket, along with a $25 gift certificate as a thank you for agreeing to the interviews. • Before the doctor’s appointment, about half of participating parents (mostly mothers) reporting talking, reading and singing with their children, though talking and reading were reported to happen more frequently than reading. • Immediately after the appointment, about half (49 percent) of participants said they learned something new from their doctor and nearly two thirds (63 percent) said they planned to do something different at home based on the new information. • Eight to 12 weeks after the appointment, 79 percent of parents reported that they were talking, reading and singing more with their children and 96 percent said they were still using the book and CD from the free toolkit. • Spanish-speaking parents reported being more influenced by the intervention overall, with a higher percentage of them (59 percent) reporting that they learned something new from their doctor and more of them (89 percent) increasing their talking, reading and singing at home. • The vast majority of participants (84 percent) reported that they had noticed a change in their child’s behavior since they started prioritizing more verbal interactions. The self-evaluation is just the first study of the campaign, said Dana Hughes, the lead researcher and a professor emeritus at the University of California, San Francisco School of Medicine. 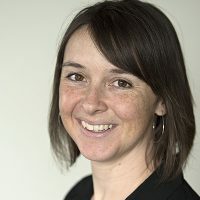 There are plans for a second study that would use observational data in addition to parent self-reports to judge the success of the campaign as it expands, Hughes said. Related: This program is proven to help moms and babies – so why aren’t we investing in it more? Meanwhile, the Too Small to Fail campaign isn’t just dependent on doctors. Miller said her staff has worked with writers of popular TV shows, including “Orange is the New Black,” “Jane the Virgin” and even “How to Get Away with Murder,” to insert plot points or character narratives that model talking, reading and singing with small children. Too Small to Fail is also developing unique telenovelas in partnership with Univision, working to create “language-rich spaces” in laundromats across the country and considering a move into clinics for women, infants and children receiving government support. They’ve also handed out more than a million books since launching in 2013, Miller said. The goal is to meet parents where they are and give them the tools and information they need to aid their children’s healthy brain development, Miller said. Hughes and Miller hope the initial findings from the new evaluation can be used to both spread the campaign and refine the model. One tip for improving the free materials came from several parents who participated in focus groups in addition to the interviews. It was advice Anselmo’s mother might have agreed with. Parents told evaluators that the tote bags should include “sturdier books with thicker pages, better suited to young readers,” who, like Anselmo, tend to be as interested in eating their literature as they are in digesting its meaning. 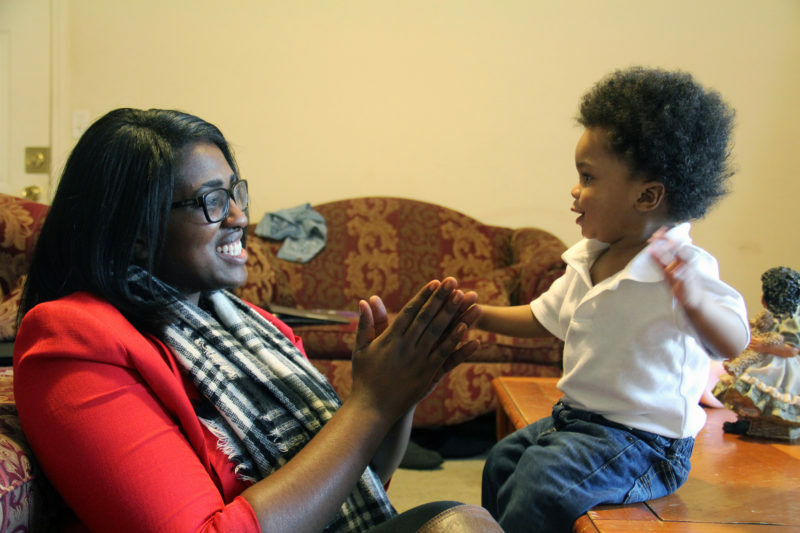 This story about early education was produced by The Hechinger Report, a nonprofit, independent news organization focused on inequality and innovation in education. Sign up for the Hechinger newsletter.